Summer sun, heat and humidity can be just awful for any kind of hairdo. I can tell you for a fact that the weather here in northwest Florida has been setting heat records (and “real” summer isn’t even here yet). Yikes! Just wait until it gets hot! Well, I have a couple of really good hair “thingys” that will help keep the hair from looking too sweaty. The first one – How to Make A Bun Maker from iKatBag blogspot looks so pretty and comfortable – unlike those clippy things that have all the teeth sticking to your head. She has a complete tutorial on how to make the bun maker. I’ll bet these would sell like hotcakes if you were to make up a few and put them into your customer waiting area. And, while making hair clips, don’t forget about our tutorial on how to make fabric flowers from fabric remnants — those can also be use to make hair bows — add a clip to the back with a glue gun and you’re set to go. These could also be packaged up 2 or 3 per zip lock package and placed in your customer waiting area to sell. Do you have any other ideas for hair barrettes or hair bands that could help keep the hair off the sweaty necks this summer? We’d love to hear about them. 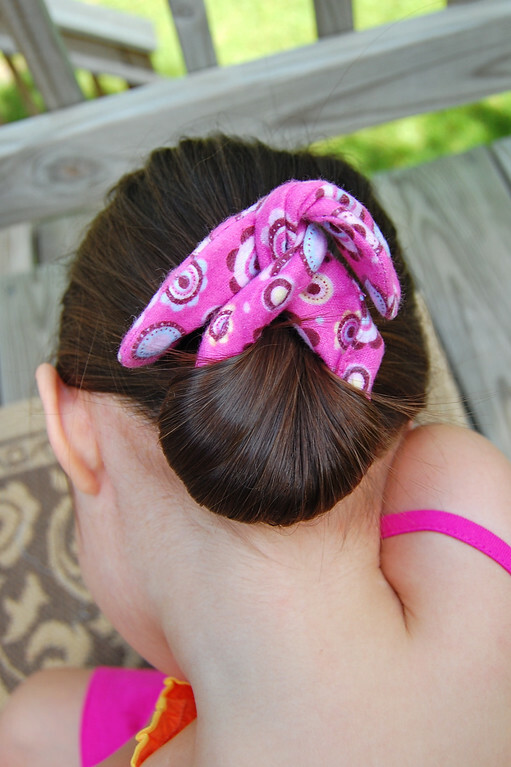 Make Athletic Non-Slip Headbands For Pennies! Hi Sarah, thanks for the link. I left a message for you in your patternsthatfityou.com email. I understand you are trying to help people with coming up with business stuff…but the number one rule should be not to steal someone else’s idea, especially when it’s copyrighted. Maybe it’s time for a post on ethical issues.